In June 2018, it appears that the Court of Appeals for Veterans Claims (CAVC) has set 1 case for Panel Decisions and 4 cases for Oral Argument and Panel Decision. I do my best to seek out and find all cases submitted to a CAVC Panel or set for Oral Argument, but cannot guarantee that I have found them all. If you are aware of an appeal that was set for a panel decision, or scheduled for oral argument in June 2018, please email me at [email protected] to let me know. 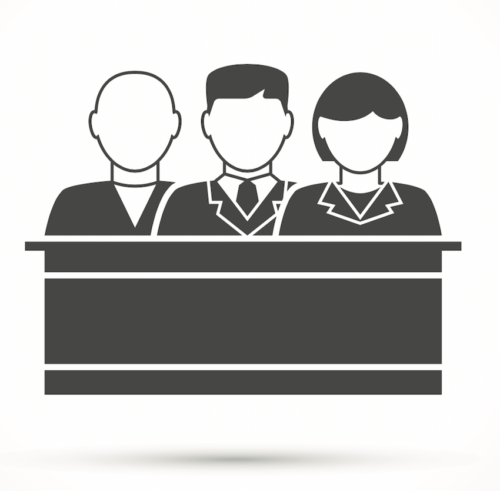 IMPORTANT QUALIFIER: Deep Issues in the case summaries below are based on Appellant's opening brief only, unless I become aware of a supplemental briefing order in the case. If you are an attorney for one of the parties and believe I have mis-stated the deep issue in your case, or if I have not updated these snippets based on a supplemental briefing order from the Court, please reach out to me so we can work to get the issue stated correctly. The BVA must compare all of the symptomatology caused by a veteran’s service connected disability with the diagnostic codes for that disability to determine if there is such an exceptional disability picture that the schedular ratings are inadequate.Thun v. Peake, 22 Vet. App. 111, 115 (2008), aff’d sub nom Thun v. Shinseki, 572 F.3d 1366 (Fed. Cir. 2009). Mr. Washington has mental health symptomatology that was potentially caused by his service connected back and knee disabilities. Did the CAVC err when it found that that the mental health symptoms were not part of the extra-schedular consideration but should instead be considered as a separate claim? When a veteran is granted service connection because of a liberalizing change in the law, he is entitled to the date of the liberalizing rule as an effective date if the evidence shows he met all eligibility criteria for the liberalized benefit on the effective date of the liberalizing law, with the eligibility existing continuously from that date to the date the VA granted service connection. 38 C.F.R. §3.114(a). A 2012 medical opinion showed that a combat Vietnam veteran met all the criteria for a diagnosis of PTSD from his time in service through the present date. Did the BVA err when it failed to consider the 2012 medical opinion in rejecting the date PTSD was added to the VA's rating schedule (1988) as the proper effective date? Under 38 U.S.C. §5904, attorneys are authorized to charge fees based on the past-due benefits, as that amount is stated as the award for success in pursuit of a claim for benefits. Snyder v. Nicholson, 489 F.3d. 1213 (Fed. Cir. 2007). Mr. Graham's attorney invalidated $199,158 in alleged debt to the VA on the grounds that the veteran was not a fugitive felon. The veteran was repaid $65,464 in wrongfully withheld benefits, with the balance of the "unpaid debt" cancelled due to the attorney's work. Did the BVA err when it limited the attorney's fee to 20% of the reimbursed debt instead of 20% of the entire amount of the cancelled debt. 38 C.F.R. §3.344(c) provides certain protections against VA reduction of ratings which have continued for 5 years or more (i.e., stabilized ratings). The veteran alleged the VA committed CUE (Clear and Unmistakeable Error) in a 1974 ratings decision when it reduced his rating from 30% to 10%. The veteran's mental health condition was rated at least 30% in the 6 years prior to that reduction, with periods of time less than 5 years at the 50% level. Is a BVA decision in accordance with the law when it finds no CUE in a prior rating decision reducing a veteran from 30% to 10% because his 50% rating had not yet stabilized?